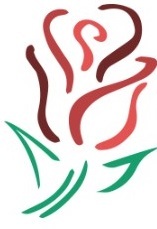 Celebrating the 60th year of our beloved Rose Festival, encouraging residents past and present to come celebrate…telling them “Welcome Home” to State Center! The Grand Parade is the highlight of each Rose Festival, drawing the largest crowds who line nearly a mile of street curbs to view! Thousands of people make a beeline at 10:00 am to witness over 100 floats annually make their way down our historical and beautiful main street. Among the floats this year, our Grand Parade will feature many local businesses and fire departments, funny cars from the Za-Ga-Zig Shriners, local marching bands, and much, much more! Again this year, KDAO will be LIVE STREAMING our parade, so if you can’t be here, you can still watch! Click here to view a replay of last year’s parade: http://kdao.com/rosefest2016.htm. We want you! Your participation, whether it be to showcase your business, promote a community service, support a candidate, or just for fun, is what makes our parade so “Grand”. As a community, we enjoy seeing floats from other communities right alongside our own! Cash prizes will be awarded for competing floats with either the “Best Use of Theme” and “People’s Choice” on their entry: 1st = $100, 2nd = $75, 3rd = $50. You ca n download the 2018 Rose Festival Parade Entry Form to learn more about entry fees and how to enter. Entry fee for for-profit groups or individuals: $15 for each 30 foot space required if your registration is received by June 8th. Entry fee for forms received AFTER JUNE 8th, including same day registration: Fee is $20. Calculating fees for multiple spaces: For example, if you are a trucking company and your entry is a semi that is 90 feet long, your entry fee is $45. If you are an implement company and your entry is 2 tractors that each require a 30-foot space, your entry fee is $30. Questions: Email Heather Morrison at dsmhmm@hotmail.com or call 515-669-9809. Late entries and day-of entries will be accepted after June 8th, but the fee increases to $20. For more information or assistance, please contact Heather directly at 515-669-9809. Our 2018 Grand Parade Route: The parade begins on the East end of Main street and heads due West down Main street, ending at the baseball diamonds. Parade Line-up Information: Will be added soon, please check back for updates periodically. Horses in the parade must be bagged or be accompanied by someone who is a scooper to be courteous and respectful of the other parade entries. Horses need to stay off of private lawns. In the event of inclement weather, we have arranged for a space near the parade line-up for livestock to be staged/held until the parade can safely begin. This area will be marked on the map you receive with your line-up number. Candy is allowed to be distributed, but please be aware of children running into the street to pick up candy thrown. You are allowed to have individuals walking with your float distributing candy if you wish. We will do our best to accommodate size needs, however larger equipment will be placed at the end of the parade in order to safely line-up and maneuver the parade pre-route. If you will be playing music from your float, please notate so we can properly space out floats with music and avoid placement near livestock who may be spooked. Entries will be lined up in the order and category received, if you must be placed next to another entry, please mail at the same time or indicate clearly on BOTH entry forms to ensure proper placement. MEASURE CAREFULLY! Our line-up/staging areas are filling up due to the increasing number of entries we have received recently. Watch your mail after June 8th for your parade number, line-up instructions, and a map of the parade staging area and route. It will be imperative that you FOLLOW YOUR SPECIFIC instructions for arrival in town and directions to your specific staging area. The area becomes congested quickly and may limit your ability to turn larger entries around in the space if you do not enter from the right direction/road. You will receive your parade number in the mail. BRING THIS WITH YOU TO THE PARADE and display prominently so it can be seen by the judges and the public to ensure your comments are read with your float and those judging are viewing the right entry. We suggest you attach it to a windshield (upper left corner on the driver’s side) or on the front left side of the vehicle. Judges and the announcers will be on the left side of the road (south) so you need to make sure wherever you secure your number it is clearly visible for them to see. Staff will be available to help direct you when you arrive and answer any questions you may have.